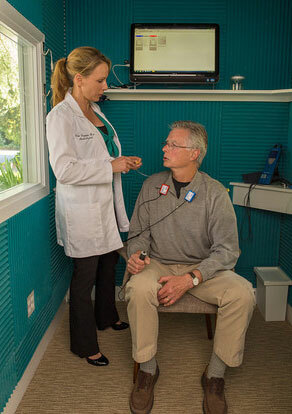 Marin Hearing Center provides exceptional services to all patients, with personalized, professional care in audiology diagnostics, hearing technology, tinnitus evaluation and intervention, and auditory rehabilitation. We’re committed to providing up-to-date, leading-edge services that are unique to each individual’s needs in order to maximize your communication abilities. Learn more about hearing evaluation. Learn more about how we can help you with your hearing aids. Learn more about how we can help with tinnitus (ringing in the ears). Learn more about Listening And Communication Enhancement.